Nearly every American lives in the potential path of at least one form of natural disaster. Whether your community is most at risk from hurricanes, blizzards, floods, earthquakes, tornadoes, wildfires, mudslides, or some other type of catastrophe, it's virtually impossible to pick a place to call home that's fully safe from nature's wrath. That fact appears to weigh on the minds of many Americans, because 46% say that they "don't believe their community is structurally or financially prepared to handle a natural disaster," according to a new survey of 1,215 U.S. adults conducted for Jumpstart Recovery. The company, which offers earthquake insurance in California, also found just under half of respondents were concerned that their communities lacked resources to assist residents displaced in a disaster. "A natural-disaster can create several ripple effects, including a housing crisis," said Jumpstart CEO Kate Stillwell in a press release. "Nearly half of Americans (48%) believe one of the most significant issues caused by a natural disaster is potential displacement. With nowhere to go, both homeowners and renters will leave to go live somewhere else, but this undermines community resilience." 42% of those surveyed had less than $1,000 in savings that could be used after a natural disaster. 18% had no savings at all. A natural disaster, as Stillwell noted above, can push people who were already struggling financially over the edge. Over a third of respondents (37%) said that while they didn't think homelessness was a major problem in their area, "a natural disaster would cause the issue to emerge." "The goal should be for as many people as possible to stay in their homes, and a key piece of the solution is a financial cushion," said Stillwell. "When individuals and families can stay in their community, and neighbors can help neighbors to rebuild and plow back, it leads to an upward spiral of recovery." 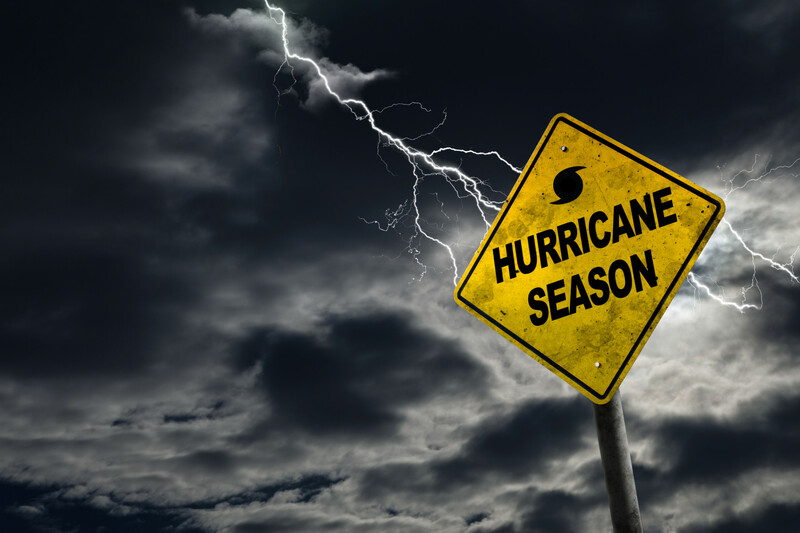 By the time a storm or other natural disaster makes the news, it's usually too late to do much preparation (aside from stocking up on provisions -- we must run out and buy milk and eggs). The time to plan for nature's worst is when threats are not imminent. Among other things, that should include doing an honest threat assessment to determine your insurance needs, reviewing your personal finances, figuring out how large an emergency fund you need to build, and actually setting out a plan that regularly routes money into that fund until you hit your goal. In general, when you buy a home, your real estate agent will be able tell you what types of insurance other people in your area have beyond traditional homeowner's policies. In some cases, your mortgage lender may require you to get certain types of insurance to protect against known threats. It's important to understand the dangers, and also what those policies will or won't cover. Once you have the insurance situation locked down, it's time to focus on getting your personal finances in order. Examine where you stand. Do you have a six-month emergency fund? Do you have cash you can easily access in the event of a natural disaster? Remember, insurance doesn't generally pay out quickly. If the worst happens, you'll need a cash reserve you can tap quickly, even if you eventually get reimbursed and can replenish it. When it comes to Mother Nature, your strategy should be hope for the best, but plan for the worst. Even if you never have to put those preparations to use during an actual natural disaster, having proper insurance provides peace of mind, and a solid emergency fund will likely prove helpful in less dire situations.